Merger with Troop 9 at First Presbyterian January 1985. 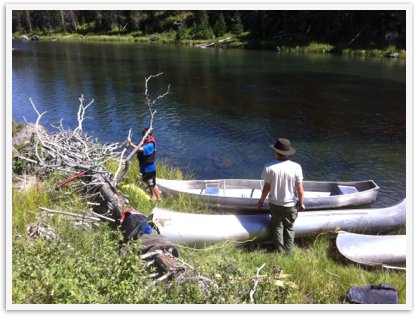 I know one of the enduring tangible items from Troop 9 was an aluminum canoe that is still in use. For years that $600 CD was carried, and nobody knew why. Troop 6 has many Eagle Scouts who were members of the First Presbyterian Church. This Agreement is between Boy Scout Troop 9 of the First Presbyterian Church of Idaho Falls, Idaho, hereinafter referred to as Troop 9, and Boy Scout Troop 6 of the Trinity United Methodist Church of Idaho Falls, Idaho, hereinafter referred to as Troop 6, for the purpose of joining the two separate troops into a single troop. Whereas Troop 6 and Troop 9 have mutually expressed a desire to join as a single group for purposes of achieving a greater number of both adult leaders and scout member participants, the following terms are set forth to provide for distribution and preservation of the Troop 9 assets and welfare of the Troop 9 participating members. Troop 9 will join the established Troop 6. The 1985 troop dues for the participating Troop 9 scouts will be paid by the existing Treasury of Troop 9. Troop 6 eill have access to all scouting equipment in the possession of Troop 9. The balance of funds from the Troop 9 Treasury, which as of January 9, 1985, amounted to $649.13, will be used to defer registration costs for Troop 9 and other costs associated with incorporating Troop 9 into Troop 6. An amount of $600 will be deposited in a savings account under the care and trust of Troop 6, and be maintained in such an account for a period of at least ten years. Troop 6 may collect and use any and all interest funds which accrue from this account. The principle amount of $600 will not be withdrawn for purposes of dispersement, without approval from the Session of the First Presbyterian Church of Idaho Falls, Idaho, and Troop 9 Sponsor until January 1, 1995. In the event that the First Presbyterian Church desires to re-establish Troop 9 as a separate and individual Troop, Troop 6 will make a good faith effort to return any and all equipment previously belonging to Troop 9. Further, the $600 from the Troop 9 Treasury, held in Savings by Troop 6, will be returned to Troop 9, so long as Troop 9 is re-established prior to January 1, 1995. In the case of Troop 9 not being re-established by the First Presbyterian Church prior to January 1, 1995, all equipment from Troop 9 and the $600 from the Troop 9 Treasury, will be permanently transferred to Troop 6. This agreement shall be in force until January 1, 1995, or until such time as Troop 9 is re-established in accordance with the terms described above. This Agreement may be amended by mutual agreement of Troop 6 and the Session of the First Presbyterian Church. The terms of this agreement as contained herein constitute the entire agreement.